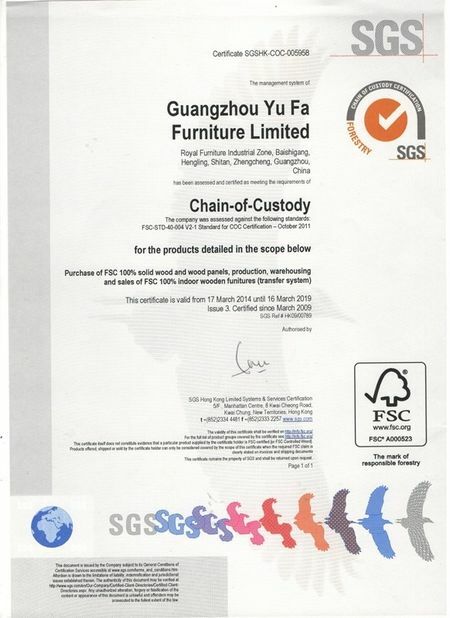 After 25 years of rapid development, Hong Kong Royal Furniture has become the most comprehensive and well-known domestic furniture sales enterprises. 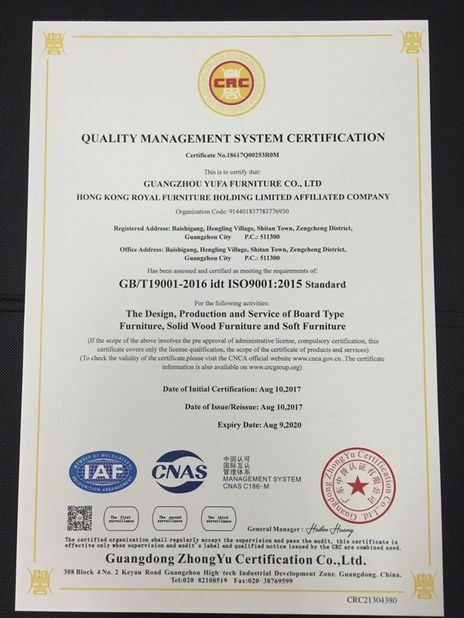 Royal is a listed furniture company with professional R & D, production and manufacturing, global sales and after-sales service. 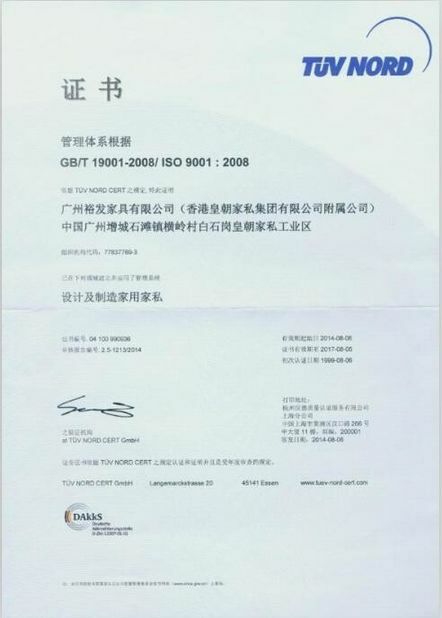 Royal brilliant belief: Enterprise strong, quality must be strong, quality strong, quality management must be strong. 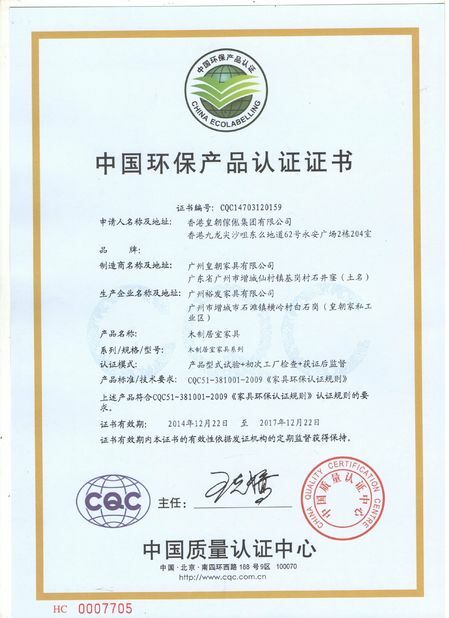 Royal quality policy: All people quality control, one good performance. 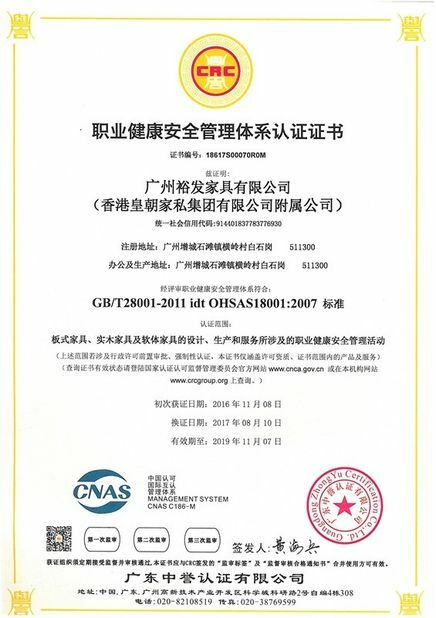 Royal quality standard: Customer satisfaction is the quality standard. 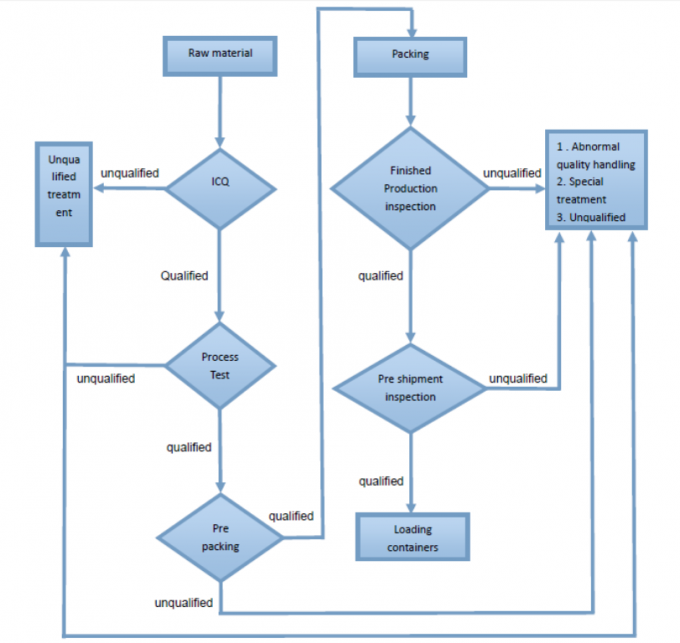 The "three no" principle in the production process: not accepting bad products; not manufacturing bad products; not transferring bad products. 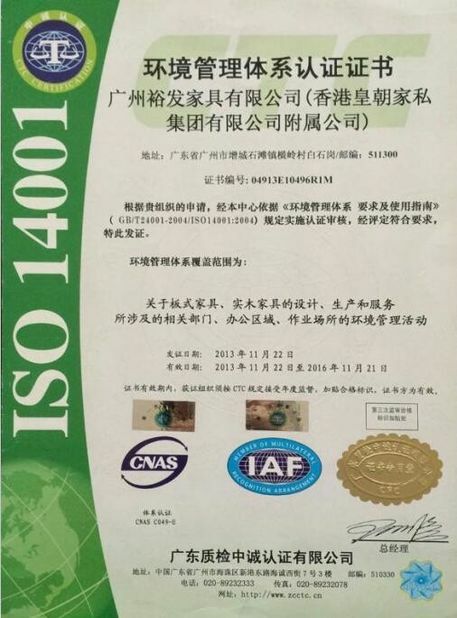 In order to satisfy the rapid develop market, Royal optimize and improve the quality management rules.Quality is the life line of enterprises, the formation of effective and efficient quality management system. 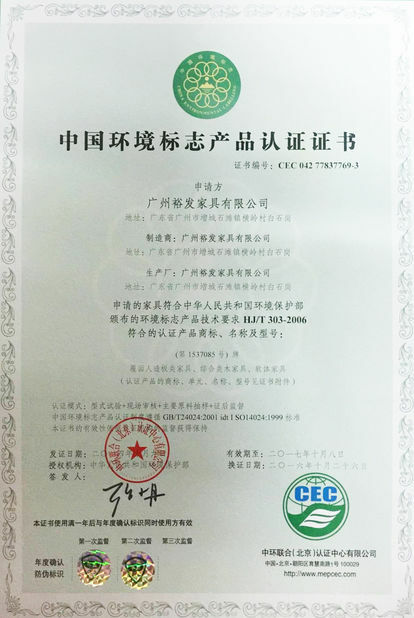 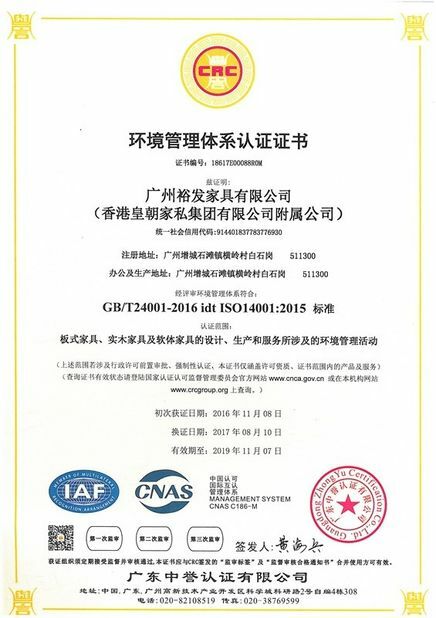 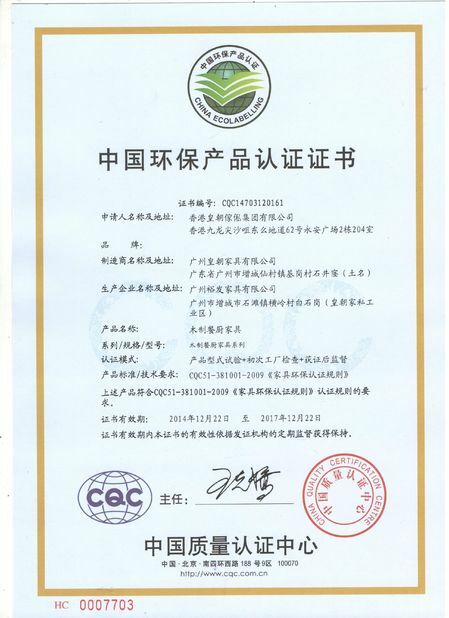 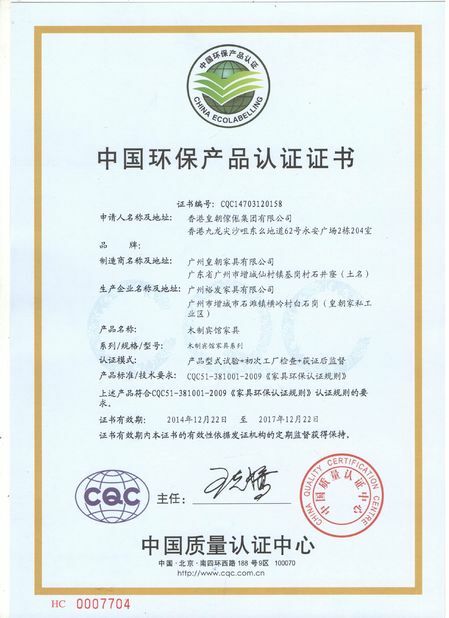 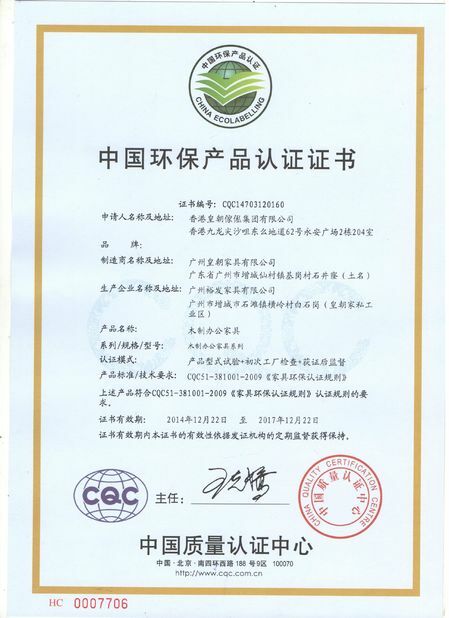 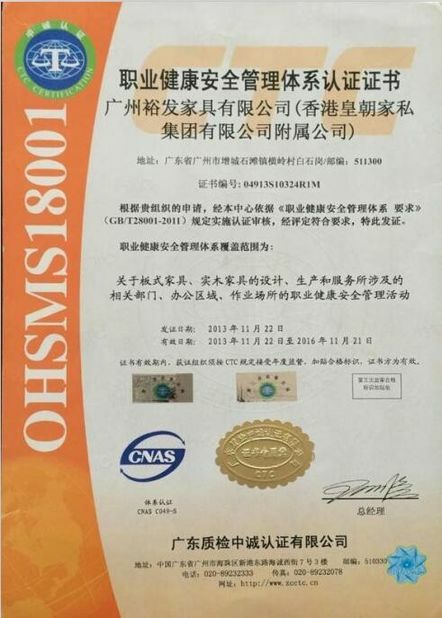 Issued By:Central United (Beijing) Certification Co., Ltd.